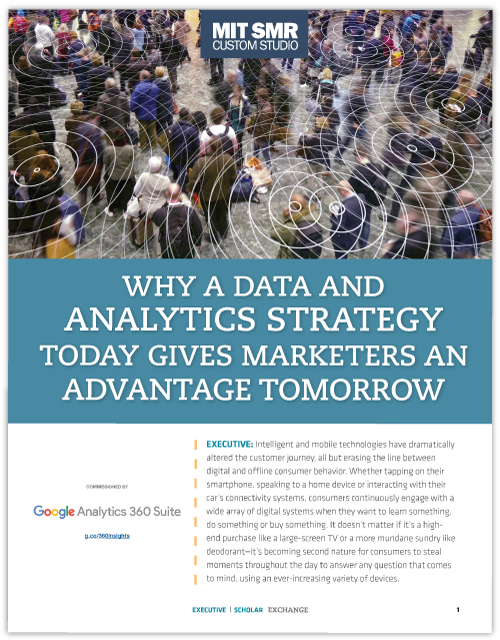 The content on this page was commissioned by our sponsor, Google Analytics 360 Suite. The MIT SMR editorial staff was not involved in the selection, writing, or editing of the content on this page. Intelligent and mobile technologies have dramatically altered the customer journey, all but erasing the line between digital and offline consumer behavior. Whether tapping on their smartphone, speaking to a home device, or interacting with their car’s connectivity systems, consumers continuously engage with a wide array of digital systems when they want to learn something, do something, or buy something. It doesn’t matter if it’s a high-end purchase like a large-screen TV or a more mundane sundry like deodorant—it’s becoming second nature for consumers to steal moments throughout the day to answer any question that comes to mind, using an ever-increasing variety of devices. The more personalized and relevant the results, the more meaningful these engagements become. Therein lies the new marketing opportunity for brands: building a data strategy to collect and analyze the trails of data consumers create, uncover insights, and take action to boost the value of these engagements. The expanding array of channels and devices makes it more challenging—but also more important than ever—for marketers to gain a complete understanding of their audience and generate actionable insights. Brands that build a foundation of data and analytics and use advanced technology to deliver engaging experiences throughout the customer journey will have the advantage going forward. Marketers of all stripes are well aware of the vast opportunity. Indeed, nearly 90 percent of senior business-to-consumer (B2C) marketing executives surveyed for a June 2017 study conducted by Econsultancy in partnership with Google said that understanding user journeys across channels and devices is critical to marketing success.1 However, the gap is widening between “mainstream” marketers and those who have reoriented their marketing and advertising approaches to reflect the need for more refined, integrated data strategies, according to the study. The study found that leaders (defined as those whose marketing results significantly exceeded their business goals in 2016) are 50 percent more likely to have a clear understanding of customer journeys across channels and devices. They are also twice as likely to routinely take action based on analytical insights. Rather than focusing on clicks and conversions, these organizations are working to create a more complete understanding of customers across devices and channels—and capturing the long-term value of those relationships. Tying together the many aspects of the customer journey requires breaking down the organizational silos that have developed in marketing and advertising over the years. No longer can marketers operate as a collection of disparate teams focused on search media, TV buying, performance marketing, brand and store buying. These groups need to become integrated, collaborative teams that are aligned behind common goals. They must work together to create a holistic view of customer behavior and brand performance that can be shared by all. In fact, 86 percent of all respondents in the Econsultancy study said eliminating silos is critical to expanding the use of data and analytics in decision-making. Leading marketers are also updating their technology systems to support increased organizational alignment and revenue growth, according to the study. In addition, they are 52 percent more likely than the mainstream to have fully integrated the marketing and advertising technology stack. A unified marketing and advertising technology stack enables companies to not only identify valuable customer segments but also deliver customized experiences to them. Marketers with fully integrated solutions are 45 percent more likely to use audience-level data to personalize the customer experience, according to the study, and 60 percent more likely to optimize experiences in real time, using analytics. The Econsultancy research also shows they are able to accurately attribute business value to their marketing and advertising efforts to evaluate how channels work together and better allocate their investments. Getting there takes time, commitment and continual refinement. For example, Google has “store visits” technology that can inform brands when a consumer clicks an ad and then enters a store. Retailers can extrapolate what this data means for their business performance by, for example, running “hold-out tests”: investing heavily in media in some markets while going dark in others, to gauge the incremental impact on results such as revenue growth or average order volumes. Based on that, they can arrive at a proxy business value for store visits and test it over time as assumptions change. The following key elements can help organizations foster a fully integrated, data-driven marketing function. Executive buy-in. Unequivocal support from the top levels of the business are vital for a customer-centric, data-driven transformation to succeed. Data-savvy marketers. The marketing function needs people with not only data skills but also an understanding of the potential to optimize real-time customer interactions based on data insights. Ideal marketing professionals are proficient in the application of analytics, naturally curious, and inclined toward ongoing optimization. Cross-functional collaboration. Teams that work together will establish new metrics and build new benchmarks that will deliver the insight into how media impacts business goals and drives real-time decision-making. A learning culture. Marketing transformation takes time and experimentation. Organizations need to commit to ongoing testing to deliver better experiences that drive business growth. Technology investment. It’s crucial to consolidate data to not only visualize the customer as he or she moves across channels but also connect those insights back to enterprise data, analyze and segment it, and apply those insights to meaningful and profitable actions. Modern technology is increasingly either a growth accelerator or a business inhibitor. For organizations that make the investment in a holistic data and analytics approach, the role of marketing in the business will expand. Rather than functioning solely as an acquisition vehicle, marketing will become an engine of growth, driving effective upselling, cross-selling and customer retention. When marketing leaders develop a data and analytics strategy to better understand customer journeys, invest in a unified technology platform, and collaborate on achieving shared business goals, they can offer tremendous value in the form of actionable insights that will benefit not only customers but also the business. Increasing demands for accountability have created a sense of urgency for marketers to determine the most effective metrics for both driving growth and demonstrating marketing’s value. But mobility has complicated those efforts. We live in an always-on world. That’s an enormous challenge for marketing organizations, but one with a huge upside if they can turn data into insight. On the one hand, multichannel access to searching and shopping results in conversion friction—a straightforward, sequential customer journey no longer exists. On the other hand, consumers can search and shop 24/7/365, generating enormous amounts of customer data that can empower marketers to better serve their customers. According to a study published in the Marketing Science journal, multichannel shoppers are more profitable than single-channel customers. This fortifies the case for marketers to master their messages and metrics for the omnichannel world. Smart brands are trying to figure out how to target the right customer with the right message at the right time. An enormous untapped opportunity exists in mobile ad platforms. Mary Meeker’s most recent Internet Trends report notes that U.S. consumers spend 28 percent of their time on mobile devices, but that mobile accounts for just 21 percent of advertising dollars. That leaves a $16 billion opportunity sitting on the table. More importantly, however, consumers are embracing mobile as a complement to, not a replacement for, other channels. We’ve found that a multichannel marketing approach compounds the financial impact of the marketing spend. When brands simultaneously invest across channels, they see a significant increase in results—one plus one equals much more than two. This points to the need for better coordination among the often independent entities that handle paid search, online display and TV/print/radio advertising. Built for the enterprise, the Google Analytics 360 Suite is a powerful marketing analytics solution. It helps you get a handle on all your marketing data and find insights you can use to improve customer experiences. The best way to engage with customers depends on where they are in their decision-making process. We recently studied the financial impact of online display ads and paid search, analyzing the results of more than 1,600 companies over a five-year period. Online display ads, which are typically shown to consumers in the awareness phase of the customer journey, are initiated by the brand and cast a wider net. Paid search, meanwhile, is typically delivered to consumers in the consideration and purchase phases, is initiated by the consumer and addresses a narrower audience. Based on our research, we’ve found that online display and paid search advertising each exhibit significantly positive effects on business performance and firm value. We also found that online display advertising has distinct long-term value, while the differential benefit of paid search accrues in the short term. The marketing metrics that matter vary throughout the customer journey, too. In the early stages, important metrics might include the length of time a customer spends in the store or how often they visit the website. At the purchase stage, it would make more sense to measure revenue per user, conversion rates and acquisition costs. Post-purchase, metrics such as retention, lifetime customer value and loyalty serve as proxies for future financial impact. Analytics expertise. Today’s marketing organizations require professionals with the quantitative expertise to analyze data and account for causality, along with the business and domain knowledge to put all the pieces together. Willingness to learn. Figuring out the right approaches and metrics demands a willingness to experiment and conduct A/B testing to determine what works. A commitment must also come from the very top for data-driven marketing decision-making. Customer empathy. Although quantitative skills are critical, so is understanding of the customer. Without a clear idea of a customer’s goals and motivations throughout the customer journey, all the numbers are meaningless. Mobile and omnichannel customer behaviors are here to stay—and it’s vital for marketing organizations to adapt their own behaviors to maximize success. 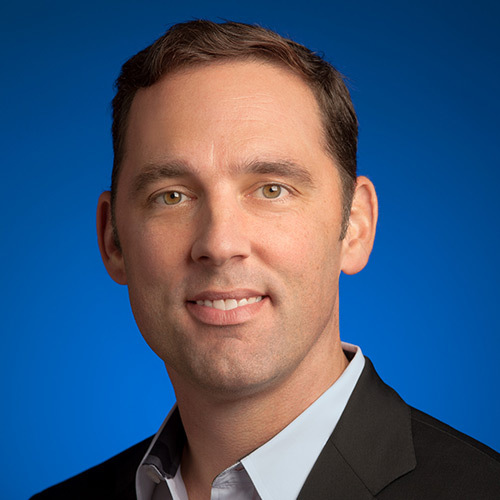 Matt Lawson is the director of performance ads marketing at Google. 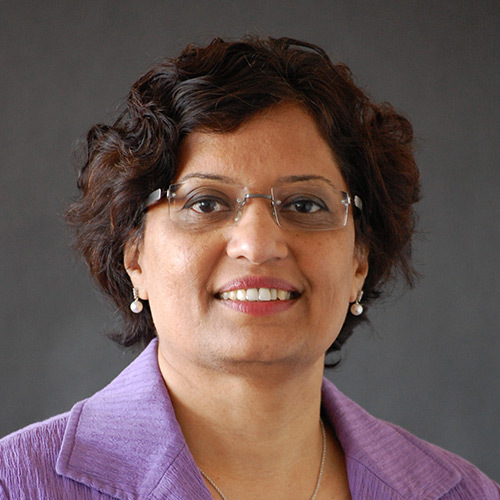 Shuba Srinivasan is the Adele and Norman Barron Professor of Management at Boston University Questrom School of Business. MIT SMR Custom Studio is an independent content creation unit within MIT Sloan Management Review . The MIT SMR editorial staff was not involved in the selection, writing, or editing of the content on this page. Learn More.